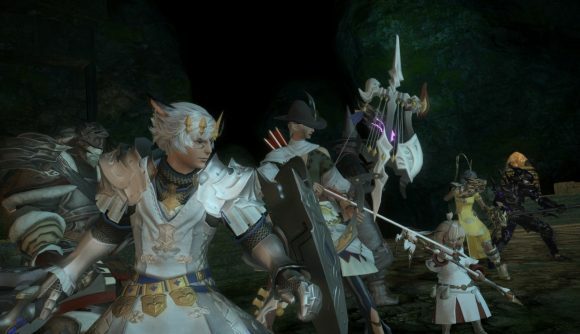 Final Fantasy XIV’s 4.5 update, A Requiem for Heroes, is due its next patch. Releasing on March 26 2019, patch 4.56 will allow for players to continue to progress in the next stage of the update’s quests. So what’s can we can expect to see that’s changed in the land of Eorzea? The main questline of A Requiem for Heroes is set to receive its second part, with the player’s Warrior of Light rushing to joining the fray. A mysterious voice is said to beckon the player toward their ultimate doom. It will then be their job to make sure they are not left as the final victim to the requiem’s otherworldly pull while they fight for the future of Eorzea. There are more updates to other quest lines too, such as the Even Further Hildibrand Adventures that were introduced in Stormblood. Players will get to help the suave detective in his investigation of Master Akebono, in a foreboding plot that’s set to be as intriguing and absurd as all the Hildibrand quests before it. The Beast Tribe Quests are also receiving an update, with Square Enix’s patch notes promising a tale of three tribes coming together in a dramatic union, but first “falling apart”. Whether this means the PC has to pick a faction I’m unsure, though a nice faction war is always welcome to divide an MMOs playerbase. Nothing else has yet been announced regarding additional in-game items or tweaks, though if previous patches are anything to go by, there’ll be plenty of new things to keep players busy for a while.